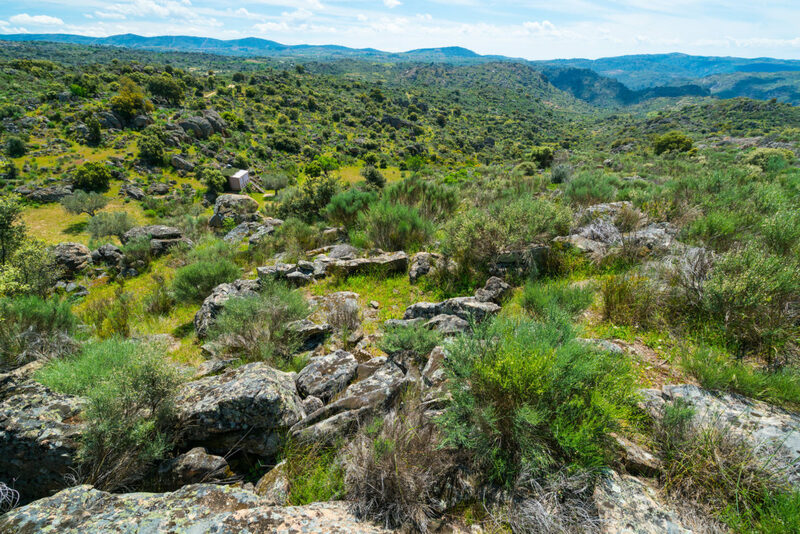 Western Iberia rewilding begins scaling up in Portuguese Greater Côa Valley. Image: Faia Brava, Côa Valley, Western Iberia. An inaugural two-day meeting in Guarda, Portugal, saw members of Rewilding Europe, ATNatureza, Zoo Logical and the University of Aveiro come together to discuss unified actions and strategy for scaling up rewilding in the Greater Côa Valley, part of the Western Iberia rewilding area. A new five-year initiative combines two complementary project funds – “LIFEWolFlux” and “Scaling Up Rewilding in Western Iberia” – starting at the beginning of this year. The aim of the former is to boost the connectivity of the Portuguese wolf sub-population south of the Douro River, while the latter will see funding from the Endangered Landcapes Programme (ELP) used to develop the Greater Côa Valley as a 120,000-hectare (1200 square-kilometre) wildlife corridor. Participants Kick Off Meeting. From left to right: Carlos Pacheco, Duarte Cadete, Pedro Prata, Rita Torres, Deli Saavedra, Sara Aliácar, Carlos Fonseca, Sara Pinto, Eduardo Ferreira, Marta Calix, Maria Betteghella, Chiara Bruni, João Carvalho. 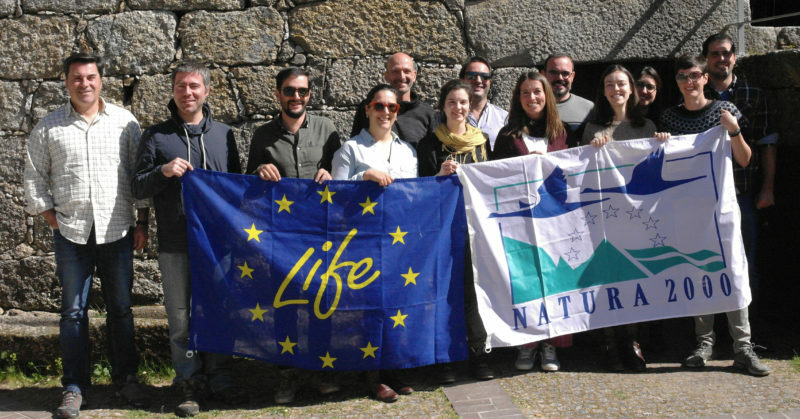 On March 26 and 27, members of both project teams (from Rewilding Europe, ATNatureza, Zoo Logicaland the University of Aveiro) met at the headquarters of the recently established Rewilding Portugal association in Guarda, a town located in the Greater Côa Valley. Participating in a two-day workshop and training session, they reviewed the actions of both projects, agreeing on steps to be taken over the next few months and an activities plan for the first year. The aim of the LIFE WolFlux project – which is funded by the European Commission and set to be coordinated by Rewilding Portugal – is to promote the co-existence of people and Iberian wolves by working with local stakeholders. Project partners will cooperate to identify the main threats to the local wolf sub-population to secure its viability, and reduce human-wolf conflict where possible. During the meeting in Guarda numerous actions were planned, including setting up and running a monitoring system, the reintroduction of roe deer to increase the availability of wild prey, and ensuring effective damage prevention measures to reduce wolf predation on lifestock. “Scaling Up Rewilding in Western Iberia” is being coordinated by Rewilding Portugal, in close partnership with Rewilding Europe. The aim is to promote a new land management model in the Greater Côa Valley, focused on natural grazing, food chain restoration and habitat connectivity. This will deliver wilder nature and wildlife comeback, and deliver a range of nature-based benefits, such as reduced wildfire risk. Partners also plan to identify new development opportunities for the region, since the area shows one of the highest rates of rural depopulation and land abandonment in Europe. While the stunning Greater Côa Valley is still largely unknown in Europe, there are great opportunities for the development of a nature-based economy here. At the meeting partners discussed how some planned LIFE WolFlux and ELP actions could complement and enhance each other. Such actions – mainly involving the promotion of human-wildlife coexistence and use of mutually beneficial communications – will include media partnerships, educational activities, local stakeholder meetings and the creation of shared digital content. Rewilding Europe’s work in Western Iberia.